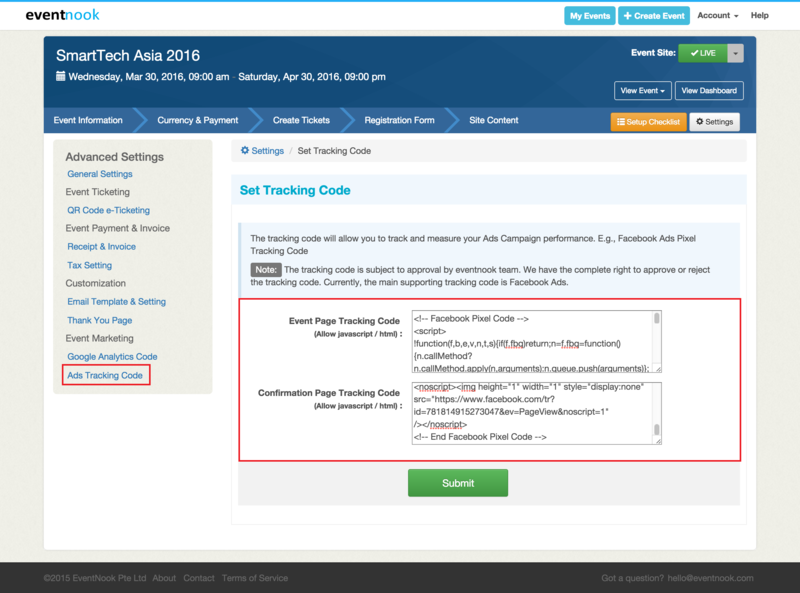 EventNook offers advanced integration with Facebook Ads Pixel Tracking Code. If you are promoting your event with advertising on facebook, this feature will allow you to measure, optimize and analyze the performance of your Ads campaign. Navigate to your event's Set Up menu from Dashboard, and then route to "Settings" and select "Ad Tracking Code" to get started. Note: The tracking code is subject to approval by EventNook team. We have the complete right to approve or reject the tracking code.